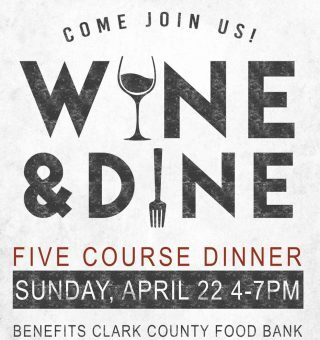 Dine with Hudson's and help raise funds for the Clark County Food Bank! They are hosting an exclusive one-night-only, five-course dinner with 100% OF PROFITS going to our local food bank. Price: $75 - 100% of profits will be donated to the Clark County Food Bank. Donations: Yes! Please consider adding a further contribution to the cause.